We believe in community at St. Patrick’s. That means that the quality of relationships matters, and that everyone is invited to participate and be a part of all that we do. The St. Patrick’s community is the students, faculty, and staff working together with our families toward a shared understanding of what it means to educate the whole child. Our community strives to uphold strong values. We believe in kindness, respect, honesty, inclusiveness, cooperation, thoughtfulness, humor and joy. 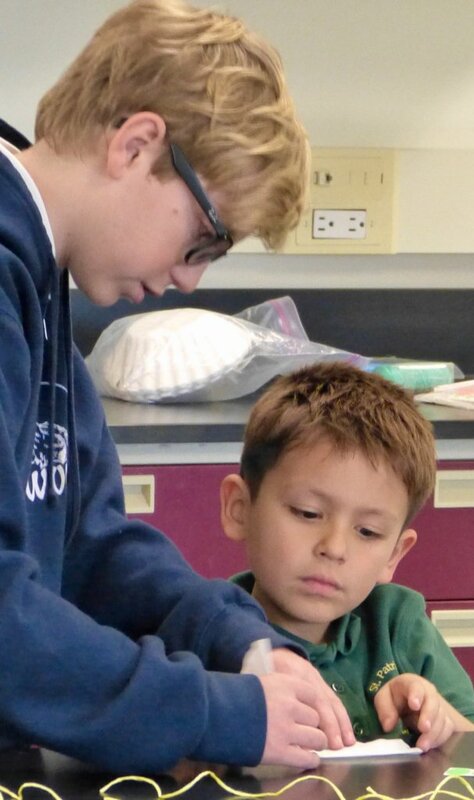 Each student is a member of a “school family.” These are small groups of students from all grade levels that are headed by a sixth grade leader and a member of the faculty. The “school families” sit together in chapel each week and at other selected events. Special meetings are scheduled throughout the year, providing opportunities for the students to plan and carry out a special activity, have additional time together and to get to know each other better. 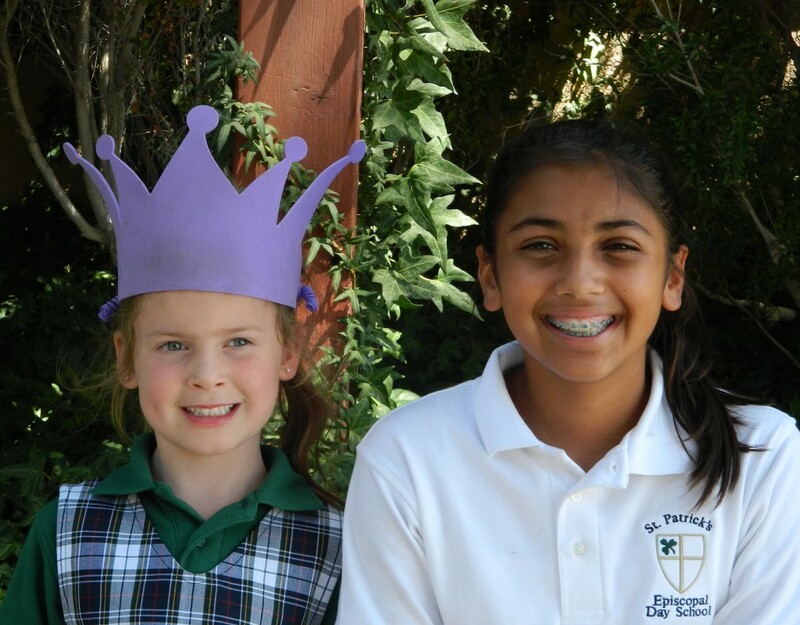 The “school family” program enhances the cross grade level interaction among all the students on campus and also provides significant leadership opportunities for the sixth graders who head the families. 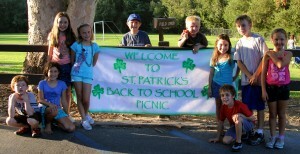 Each fall the Parent Association sponsors a family picnic to start the new school year. This gathering provides an informal setting where adults and children can relax, socialize, and have lots of fun! Another event that brings parents, faculty, and students together is our annual Sports Day. The “school families” take on team names and team colors and participate in a half-day of games and physical activities. The purpose of the day is to promote teamwork, school spirit, and the sharing of good times. Parent volunteers help set up the activities, coordinate the games, host a barbecue lunch, and encourage effort and good sportsmanship. 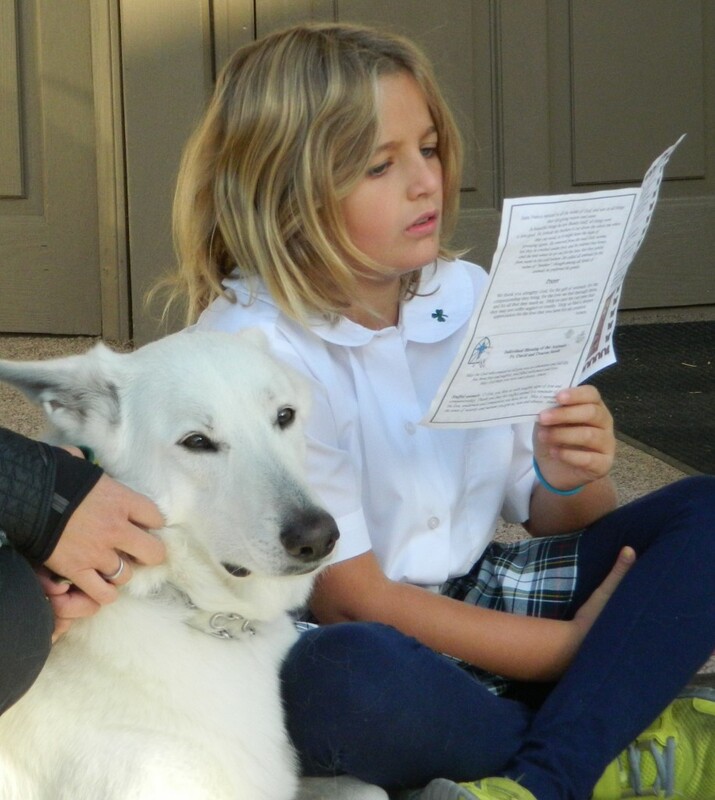 In October, the church and school host a Blessing of the Animals. Parents, students, and their pets gather on the patio where a great cacophony of barks, meows, squawks, and squeaks competes with the opening prayer. The rector and chaplain bless all the dogs, cats, tortoises, snakes, iguanas, guinea pigs, bunnies, parrots, fish as well as any stuffed animals and pet photos in attendance. Each November around Thanksgiving time, St. Patrick’s invites grandparents and special friends to spend a half-day at school with the students. The day begins with a special chapel for the guests, followed by classroom visits and lessons, and culminates in grade level performances. Everyone enjoys spending time together before going off to the Thanksgiving break. As an extension of the fifth and sixth grade science curriculum, our students participate in an outdoor experience each fall. On these overnight trips, students are engaged in hands-on learning activities as well as group building and leadership training. The sixth graders travel to Santa Cruz Island in the Channel Islands for a two-night, three-day camping trip. The class has an opportunity to study the island ecology and interact with scientists who are conducting research on the island. They also participate in lessons on geology, astronomy, marine biology, and zoology. Water based activities included in the program are kayaking and tide pooling. Brandeis University Reserve in Simi Valley is the destination for our fifth graders’ outdoor experience. Students spend two nights and three days studying about the laws of motion and force, astronomy, air pressure and the properties of gases, as well as photosynthesis and botany. Hiking, exploring, and a ropes course add extra fun activities to the trip. Each February, the majority of the St. Patrick’s student body signs up to share their talents in our annual talent show. From kindergarten to sixth grade, students dance, sing, perform magic tricks, play a musical instrument, or make up an act. Parents and students look forward to this afternoon event each year. As a culmination of all that has been learned in the visual and performing arts classes during the year, the school hosts its annual Arts Festival each May. Student artwork is on display throughout the campus. Visitors delight in seeing the drawings, paintings, sculpture, ceramics, and creative writing made by students of all grade levels. 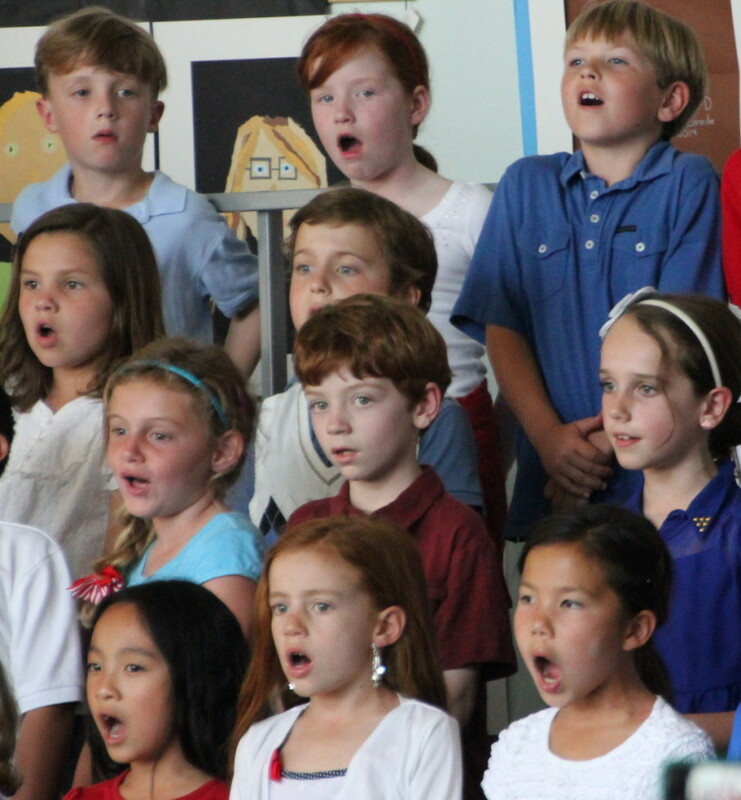 In the evening, all students participate in a night of song centered around a different theme each year. The entire St. Patrick’s community is invited.